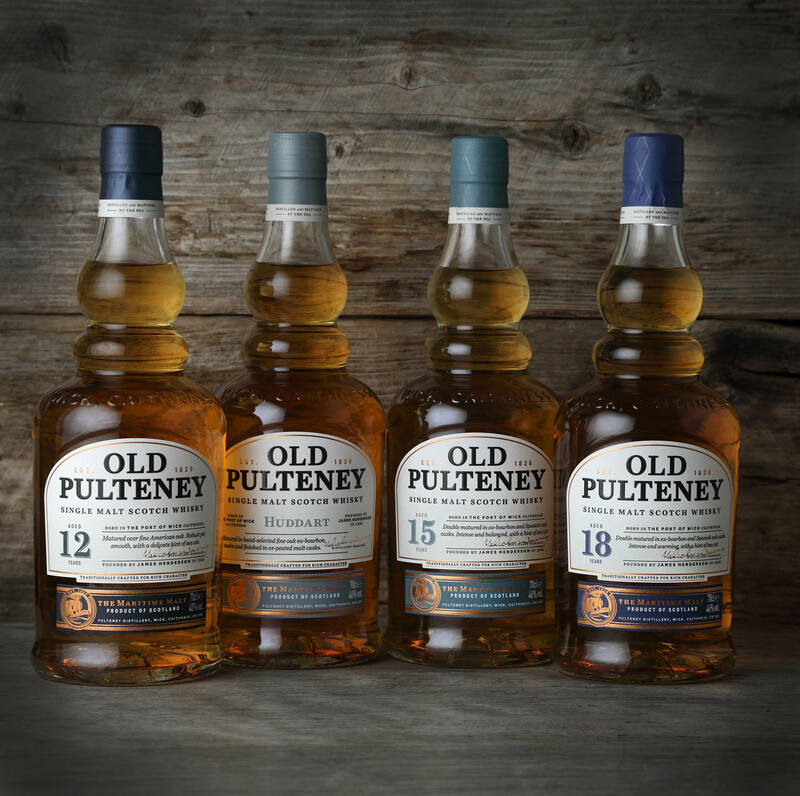 When Old Pulteney announced they were discontinuing their highly popular 17 and 21 year old, Many OP fans were disappointed , and quite shaken by it, especially when the whiskies at hand were so bloody good and so well priced … The 17 and 21 were very popular in Israel as well (and very well priced sometimes even cheaper than in some EU countries!) , and even became more popular as news of about them being discontinued spread like wild-fire among the little but quite active local whisky crowd. Then began the race to secure a bottle or two, since there were not going to be any more. Speaking to an industry source about this (no names), I was told that although it’s a sad moment to see two such popular expression go, what was due to come will be just as good… And many rumours were talking about younger malts replacing the older ones, speaking of depleted stocks, and of price hikes, and you know rumours, are rumours… after all. 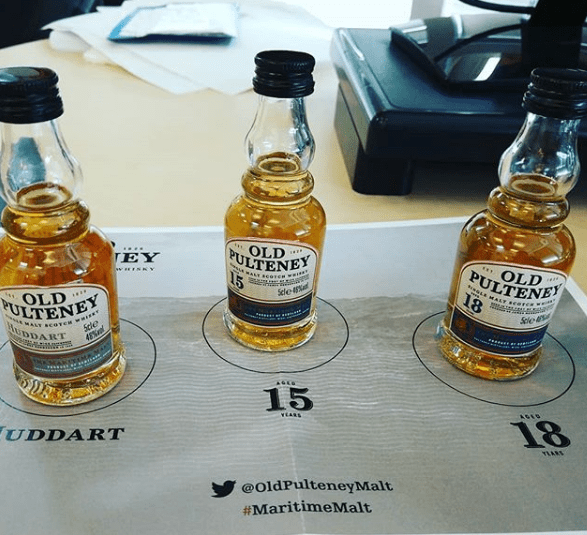 Last month or so, OP have announced the replacements for the 17 and 21, which were not two, but three whiskies. The first of which is a NAS named Huddart , and the other two are a 15 year old and a 18 year old respectively. I was quite keen to taste those new ones, and fortunately managed to participate in an online twitter tasting that took place yesterday, featuring those 3 new expressions , tasting them with fellow whisky friends / aficionados / bloggers online. So without further ado, let’s get to the whisky tasting.. Starting with the Huddarrt. The OP Huddart is the youngest of the new bunch (it’s a NAS, so we do not know how old it is, but it’s fairly correct to to say it has got some young whiskies inside as well). 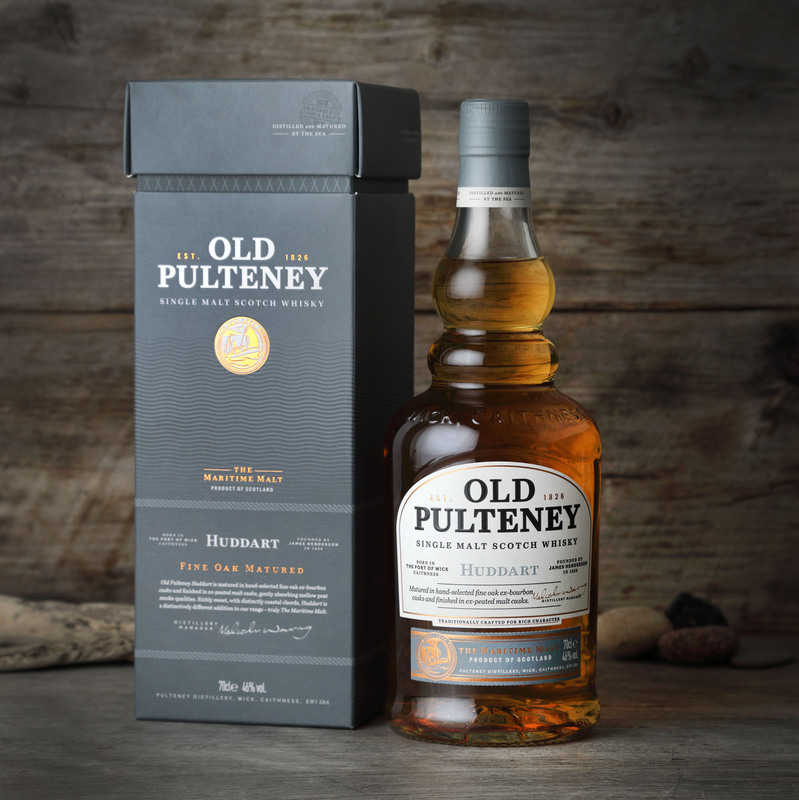 This expression takes its name from the street on which Pulteney distillery is located, which in turn is named after Captain Joseph Huddart, a hydrographer who had provided maps and charts for the British Fisheries Society – the builders of Pulteneytown and its harbour. He was also for a period a Director of the British Fisheries Society. Matured in second fill American oak, ex bourbon casks then finished in ex-bourbon casks that had previously held heavily peated whisky. Nose: Quite a nice smoky nose, with apples, honey and some smoke, a touch of vanilla as well, warming spices with the baked refd apples, and a zingy lemon touch as well. Palate: Creamy smoke if you can say that?! quite a bit of malt, smoke, tablet, lemon rind, and more smoke, with a bitter edge / oak. Quite a nice surprise this one is really. I was not sure what to expect, as quite a few NAS Travel Retail OP’s were way too young and not in par with this lovely distilery’s core range. So: Thumbs up. and quite a nice start to the evening. 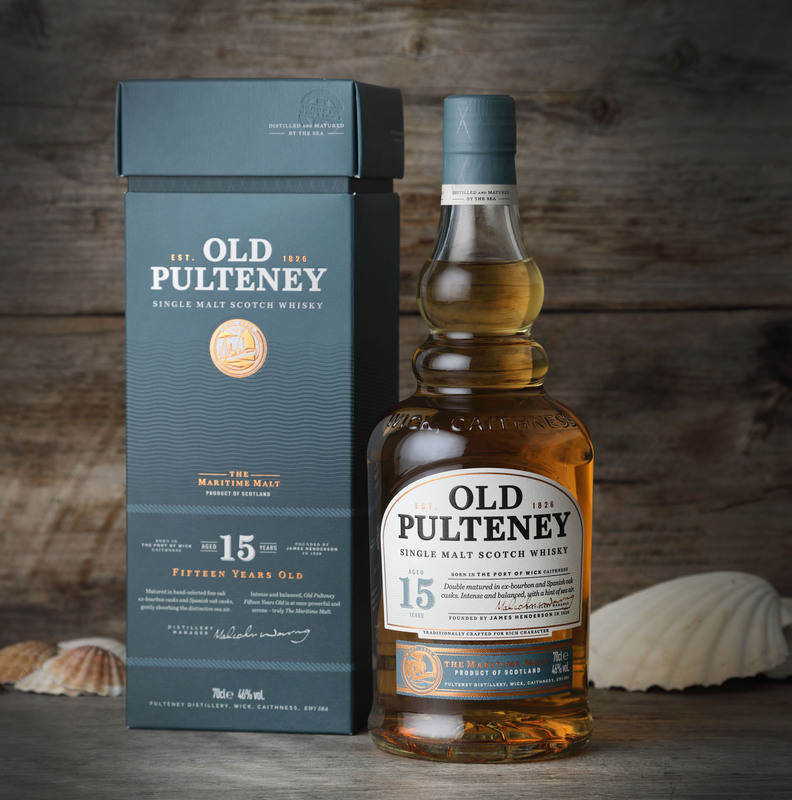 Next up is the 15 year old expression : Matured in second fill American oak, ex-bourbon casks, followed by a period of further maturation in first fill Spanish oak, ex Oloroso butts. So we’re in for some sherry influence eh? Palate: it’s lovely on the palate. with a nice sweetness, ripe orange, earth, salty, sweet, warming spices, Xmas cake , some chocolate, toffee and a hint of salt – lovely. Finish : Oak, chocolate, ripe orange marmalade, very nice wood notes, tea. The final dram of the night was the 18 year old which is ‘replacing’ the 21 year old. Matured in second fill American oak, ex bourbon casks, followed by a period of further maturation in first fill Spanish, ex-Oloroso sherry butts. This is more like it! this is an excellent dram indeed. Deep, complex, and just absolutely yummy. I would have loved more of this stuff any day! Again, it’s not quite like the 21 but it’s just lovely! Good work there. So, have the 3 new drams succeeded in ‘replacing’ the old ones? well, No. and they were not meant to replace those, so no harm done here. They are however showing a differnt aspect of the OP distillery, and as such they are quite a success in my Opinion. As for pricing, some would argue that prices are higher, especially of the 18 year old, and that is quite true. 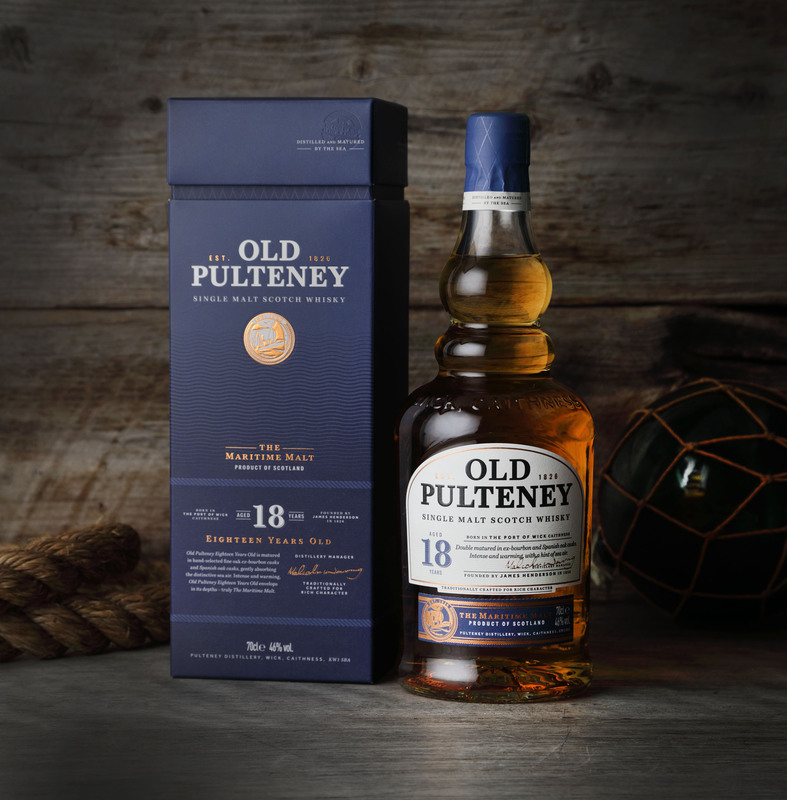 In Today’s whisky pricing atmosphere, prices are going up and up, and OP have not missed that either… I guess whisky is a business and they are indeed asking what they think they can get on the market..
At any rate, let bygones be bygones, the new range is here to stay, and I can honestly say, I was impressed. Good work Malcolm & Co.